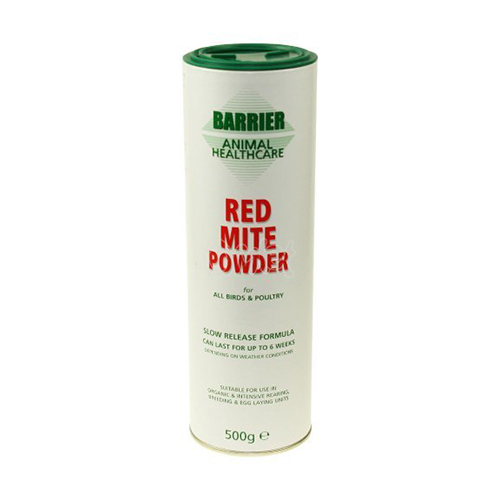 The red poultry mite, also known as the chicken mite (Dermanyssus gallinae), is a significant ectoparasite of commercial egg laying and backyard chicken flocks worldwide. Infestations can often go unrecognized for long periods of time, as signs presented by the birds are often initially subtle. Since these mites are nocturnal, the can often go undetected for they will hide during the cracks and crevices of chicken coops during the daylight hours, only coming out at night to feed on the chickens. Chicken flocks infested with red poultry mites often develop anemia, increased stress and feather pecking, restlessness, and show changes in sleep patterns and associated roost positions. Anemia appears as a pale comb and wattles, dullness, reduced egg production, and weakness. What do red poultry mites look like? As an adult, the red poultry mite is about 1-1.5 mm (0.04-0.06 in) in length, has 8 legs and can range in color from white to gray, to black to deep red (depending on whether it has recently feed on blood). 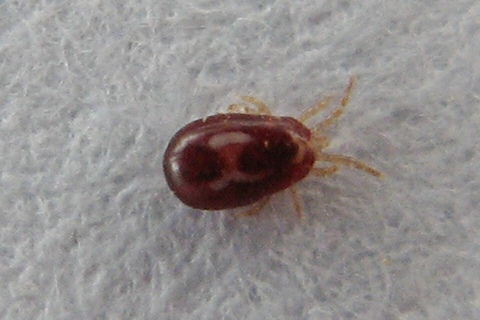 Red poultry mites have a rapid life cycle and can grow from egg to larva, followed by nymph and the last adult stage, in less than 2 weeks. Red poultry mites are known to flourish in environmental climates with high relative humidity (>70%), like during the warmer summer months. 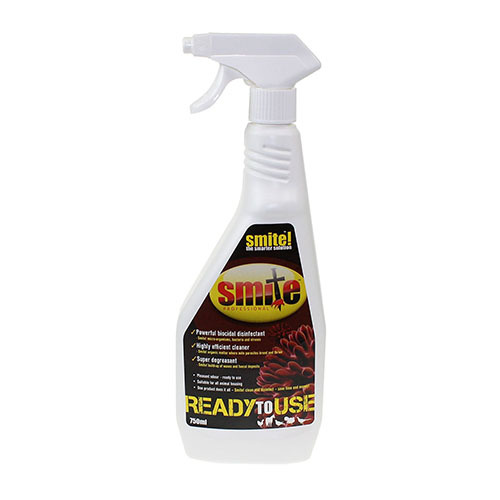 Red poultry mites are able to survive for up to 9 months in the environment without feeding on a host. The red poultry mite has a large range of hosts, and is not limited to just poultry as it's name suggests. 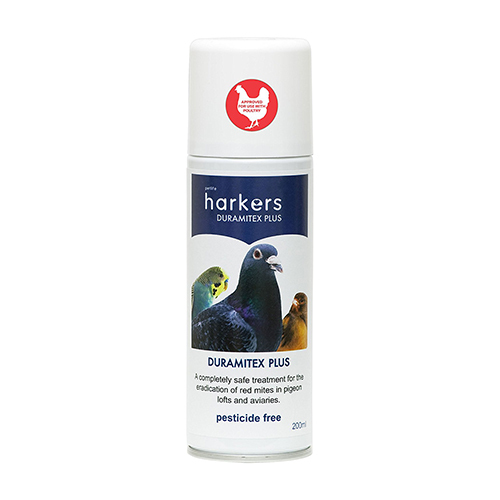 This mite has been isolated from at least 30 different species of wild birds (including starlings, pigeons, sparrows, rock doves), turkeys, rodents (mice, rats), horses, and humans. Red poultry mites are transmitted to flocks through infected hosts. 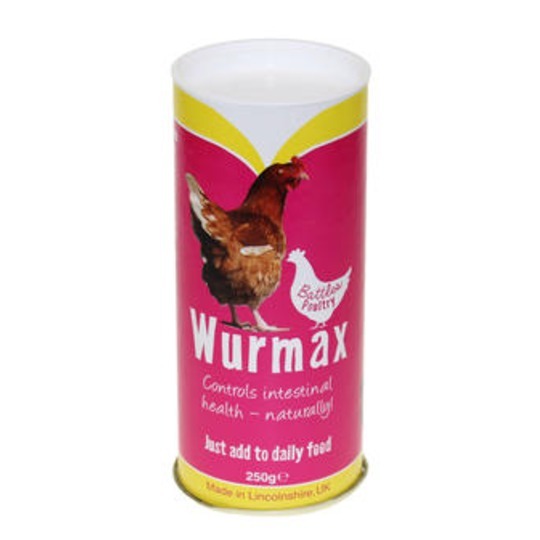 Clinical signs Dermatitis, poor condition (feathers appear 'dirty'), anemia, pale pink comb, soiled feathers near vent Restlessness at night, dermatitis, anemia, may cause chickens to alter where they roost at night. DO NOT USE Carbaryl powder (Sevin) either on the bird or on the premises. 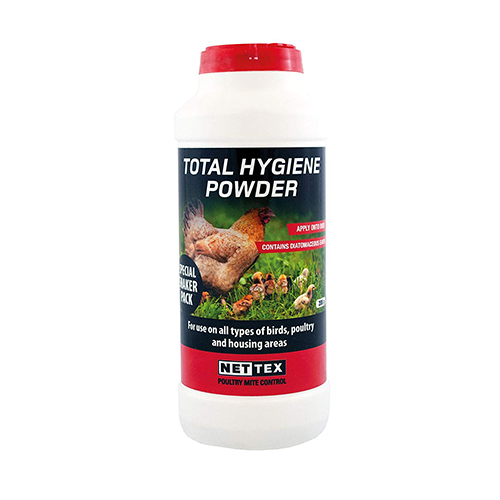 Silica dusting powders Dust birds, nest boxes, coop, and nesting materials with 5% carbaryl, 5-10% malathion or 5% pyrethrin powders. Note - Care should be taken to avoid heavy exposure of hens to the dust, as it can possibly be harmful to them. Between flock cycles, the poultry house should be thoroughly washed and disinfected. Quarantine new chickens before introduction to other flock members.